We're almost halfway through the #SFDesignADay SpoonChallenge! 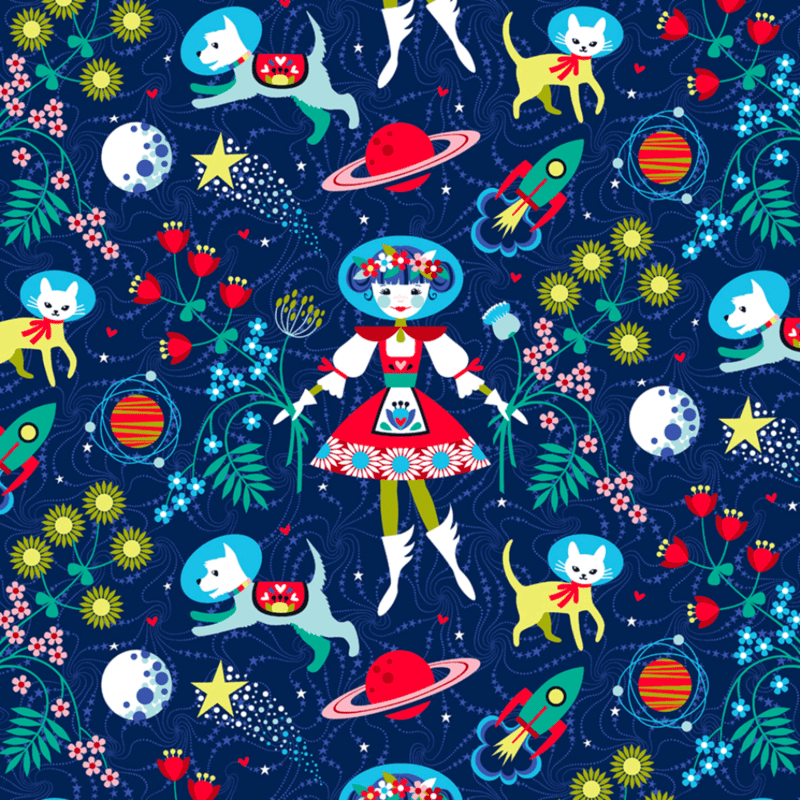 Today's design prompt is brought to you by Ceri Staziker, a veteran Spoonflower Marketplace contributor better known as Cerigwen, specializing in vector designs. Ceri shows us how to get the best vector designs by hand drawing them then cleaning them up with tools like Illustrator or Inkscape to finalize your creation. 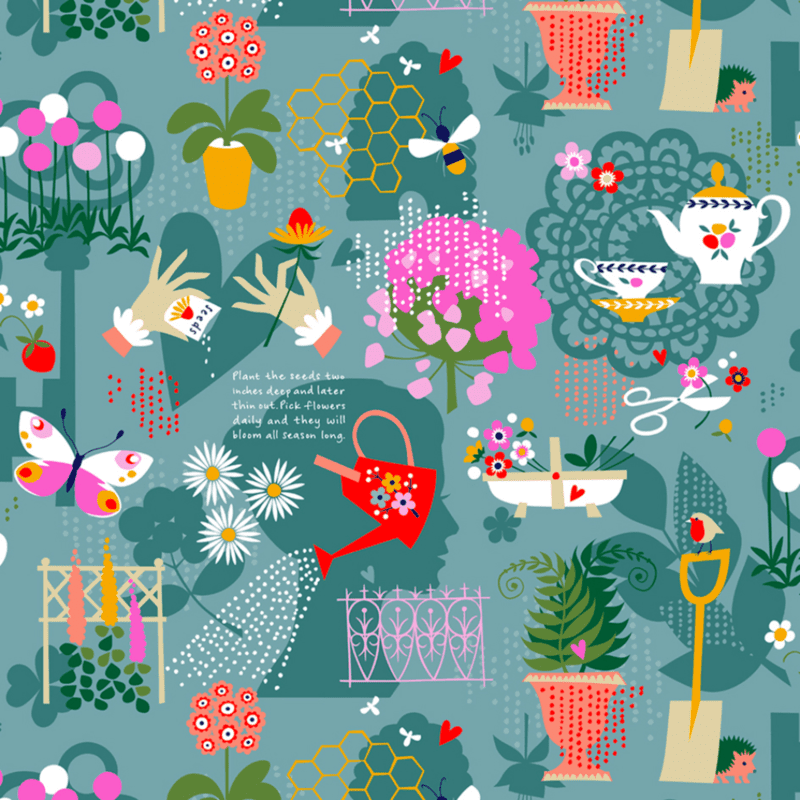 Ceri: I use vector artwork for most of my Spoonflower designs. Unlike raster (or pixelated) graphics, vector artwork is comprised of mathematical points and outlines, creating shapes which are able to be scaled up or down in size without any loss to the original quality. I like to fiddle endlessly with my designs on screen — the position, size and colour of each element — and vector graphics allow me to do this very easily. My job as a graphic designer means that I am used to working with professional software such as Adobe Illustrator which I use to create my vector-based designs. The thought of using this kind of drawing software can be a scary, but Illustrator is increasingly used by more and more people who design as a hobby. There are many tutorials to be found online to get you started, so why not give it a go? 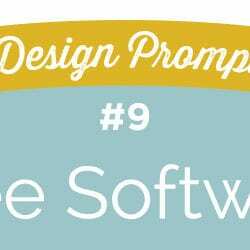 Free software is also available to download from the internet, such as Inkscape, which does a great job. Here are my tips for getting the best results from your vector drawings. First make a pencil or pen drawing and import it into your application to use as a tracing guide. There are two ways I like to create a vector outline. The ‘Image-Trace’ function in Illustrator can do this automatically for you, or alternatively, you can use the pen tool to manually draw an outline. As you can see in the illustration above, you get a cleaner, more precise outline when you draw manually. 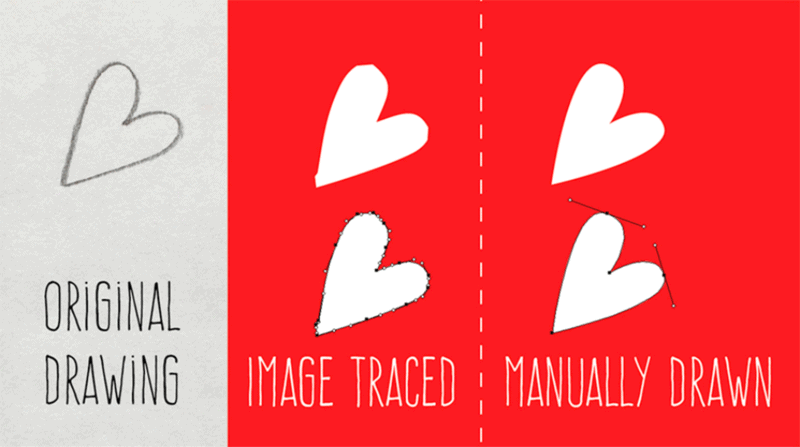 You could refine or clean-up Image-Trace’s attempt, or, draw from scratch with the pen tool, aiming to create your outline with the fewest points possible. This will achieve the smoothest result. As you add each point with the pen tool, just click and drag to create a curve — ‘handles’ appear on the curve which you can manipulate later to refine the shape. I use Image-Trace when working with complex shapes, or outlines which don’t need to be super smooth, accurate or symmetrical. 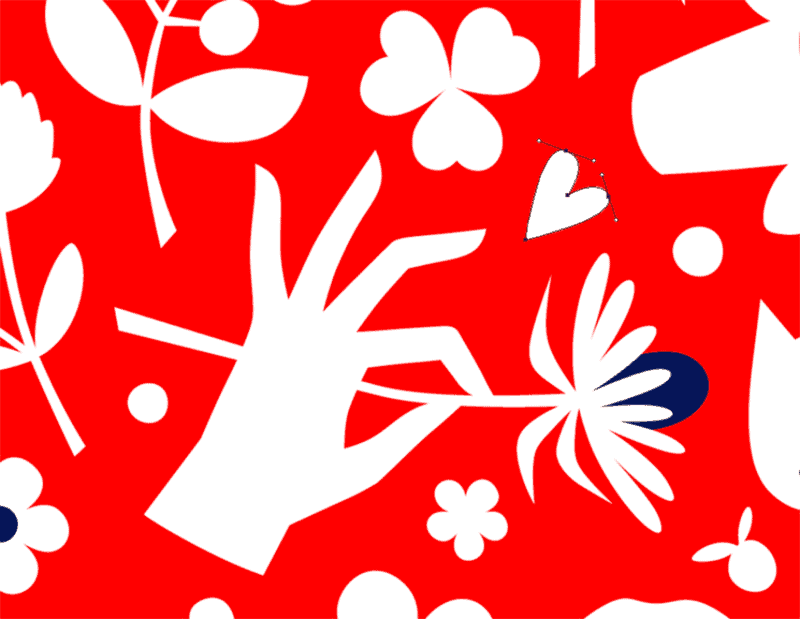 For example, I used it to replicate a linen texture in the background of my Jaded Valentine design (see enlarged detail below). Vector-based designs can add a new dimension to your portfolio, and are a useful addition to your design toolbox. 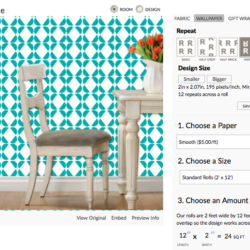 Excited to try a new design style? Be sure to post it to Instagram, Twitter, Facebook or Pinterest with #SFDesignADay so we can follow along with you! Still not sure how the Design-A-Day SpoonChallenge works? Check out our FAQs here. Ceri Staziker is a freelance graphic designer, working from home in an old cottage in the countryside on the outskirts of Cardiff (the capital city of Wales). She loves to photograph her morning walks and sewing projects which she documents on Instagram (@cerigwen). Nothing gives her more pleasure than working with fabrics she has designed herself. 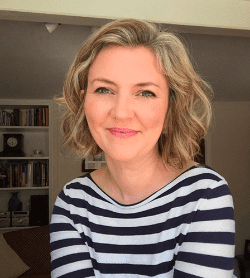 Incredible blog post Ceri! I love your work! Excellent post, Ceri, with gorgeous images! I love that you used the heart as an example and then showed where it belongs in the whole pattern. Thanks Amy, I’m so pleased you liked that. Your vector design today is superb! Your designs are lovely. I am working on a few designs and just started using Inkscape. 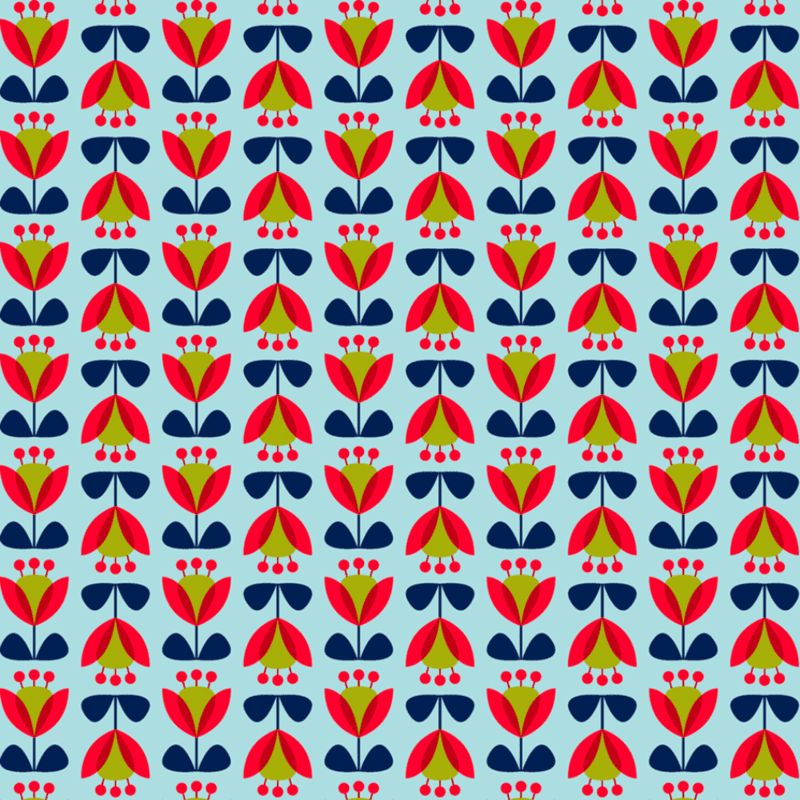 I would like to upload my designs to Spoonflower. Using Inkscape, what size should I make my images to work for that site? 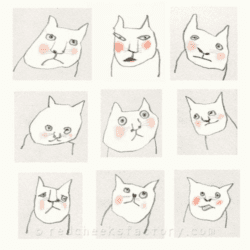 I do not have Illustrator anymore. I am happy I can use Inkscape! 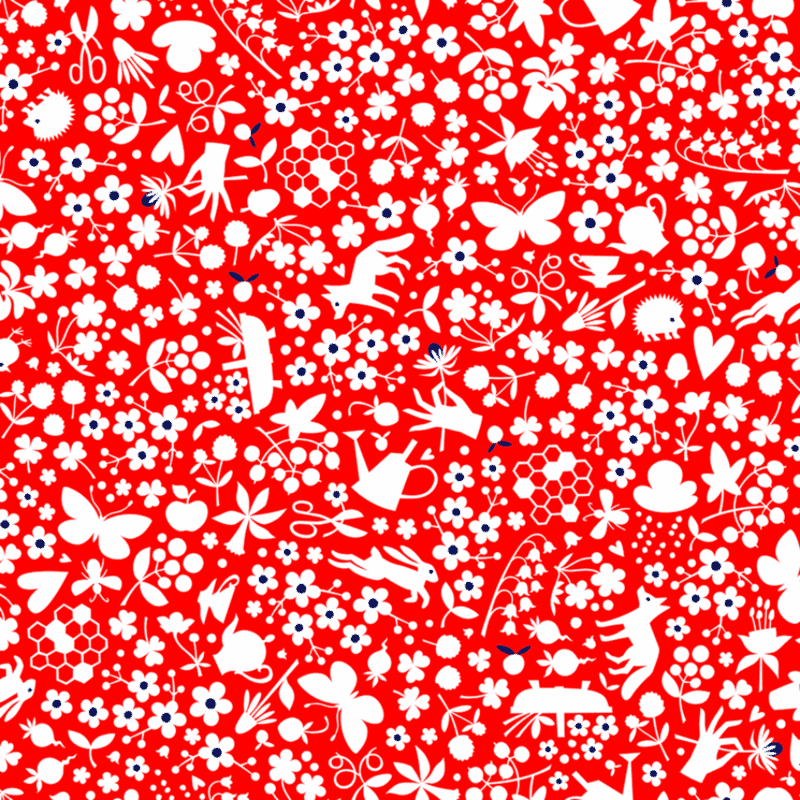 Once I make my design repeat pattern in Inkscape, do I just upload it to Spoonflower? Any advice is deeply appreciated. Oh, I must say, I love Wales. I was there a couple of years ago while visiting Great Britain, so charming.